﻿ Beaver Creek State Park - Ohio. Find It Here. 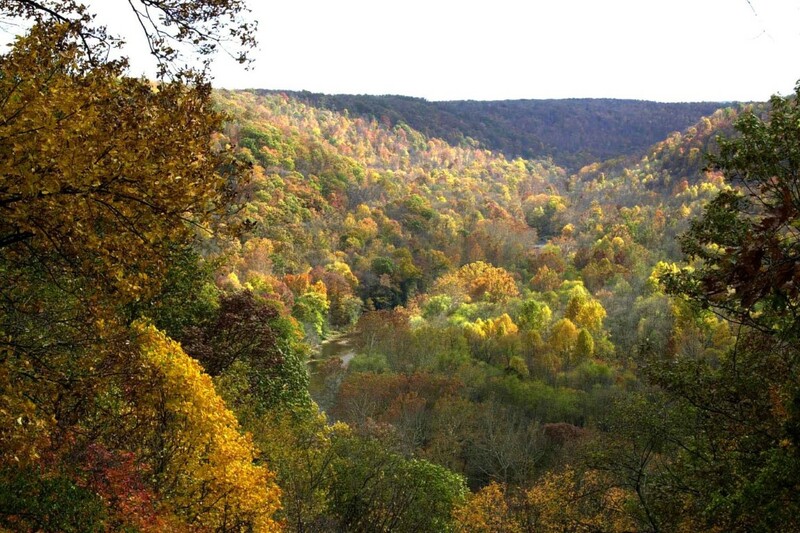 Beaver Creek State Park, in the foothills of the Appalachian Mountains, is one of Ohio's most scenic parks. The park includes Little Beaver Creek, a state and national wild and scenic river, and 2,722 acres of forest wilderness. The rich history of the area invites visitors to explore Gaston's Mill, Pioneer Village and abandoned canal locks. Nearby is a 2,105-acre wildlife area.Beaver Creek State Park is nestled in the sandstone hills of eastern Ohio. The park is comprised of various habitats including bottomlands, a gorge, forests and Little Beaver Creek--a state and national wild and scenic river. The valley of Little Beaver is characterized by steep walls, high rock cliffs and numerous gentle rapids. Geologically, the valley of Little Beaver is extremely unique, being the only stream valley in the United States yet described, in which evidence of all four major glaciations is found.